Porches aren’t just snug little spots to tuck away wellies and the post – they’re a guest’s first glimpse into your home. 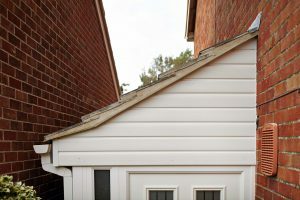 For this week’s #ProjectSpotlight, we went inside the Broadmeadow household in Harleston to see how their brand new porch helps create memorable first impressions, while helping bolster their home’s energy efficiency at the same time. 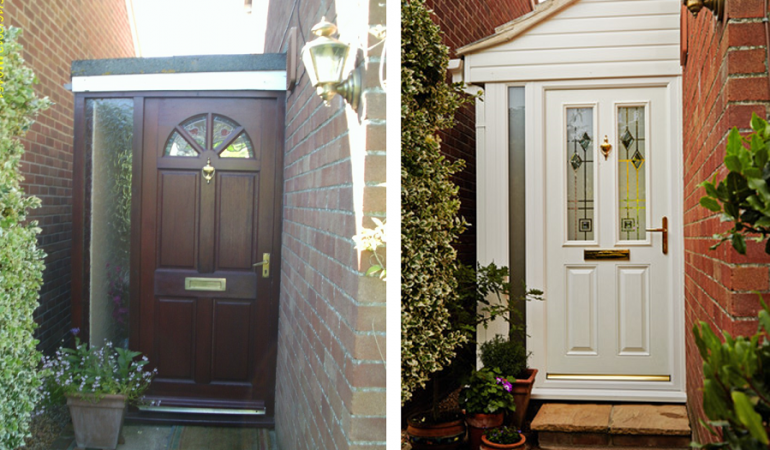 The Broadmeadows opted for a beautiful white pitched porch in uPVC and Anglian’s Winchester door with decorative glass. 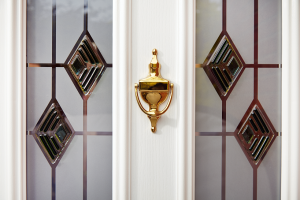 With gold accents and double glazing, it creates the perfect welcome that’ll stay warm all year round. A: We have been here since October 2000, so just over 14 years. Q: What was the reason for wanting to have a porch installed? A: The old porch was very dated and we wanted to improve the look of the house. Also, the original porch area was very cold in the Winter. Q: What was the most important thing for you when considering a porch installation? Q: Did you receive quotes from more than one company? A: No, we usually do on such matters, but we were happy with what Anglian could do for us and the price was right. A: Yes. Very helpful. Also, during the installation a suggestion was made to the interior which we hadn’t considered. We took the suggestion on and it is a definite improvement over the original plans. Q: What is the main benefit from having a porch installed? A: It’s less cold in the Winter months and improves the entrance to the house. Q: What is your favourite feature of the porch? 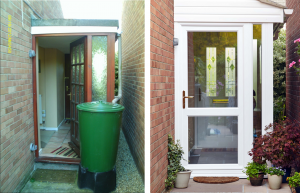 Q: Has your Anglian porch improved the appearance/saleability of the property? Q: Would you recommend Anglian? Considering a new porch for your home? To see how Anglian can help turn your entryway into a warm welcome, click here.